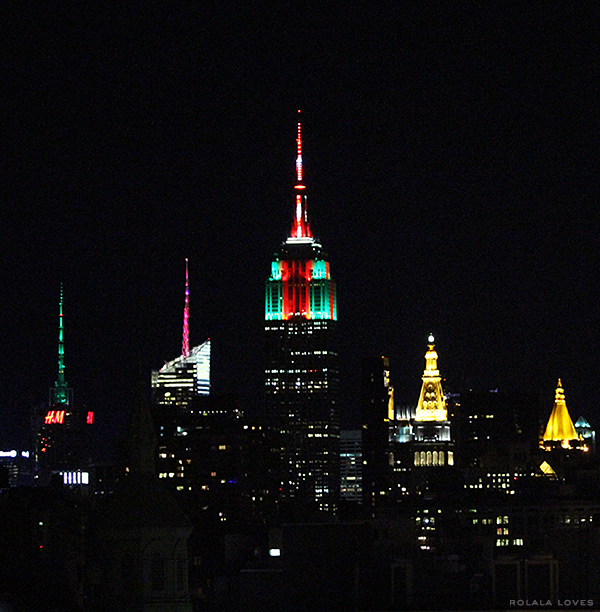 The Empire State Building festively lit up for Christmas. 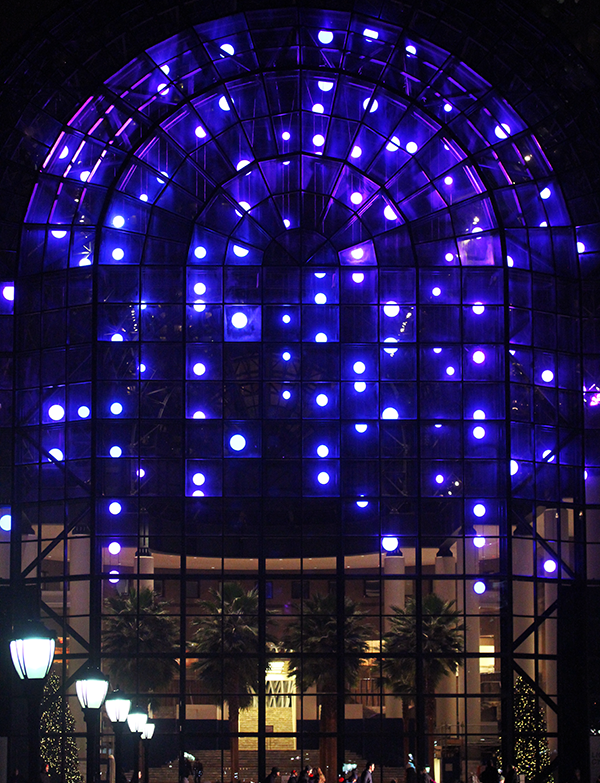 Light Cycles by Anne Millitello is an LED light show on view through January 22 at the Winter Garden of the World Financial Center that features a kaleidoscope of colors inspired by the aurora borealis. 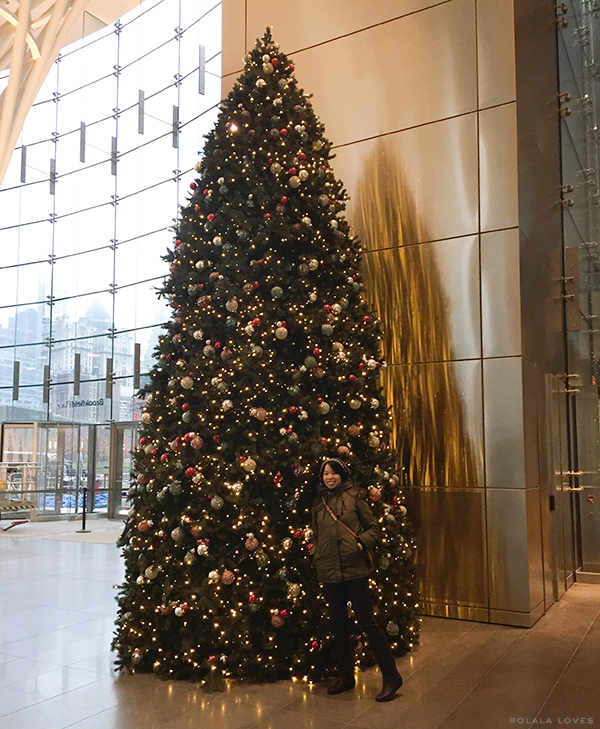 Hanging out with one of the pretty and very tall Christmas trees in the atrium of Brookfield Place. 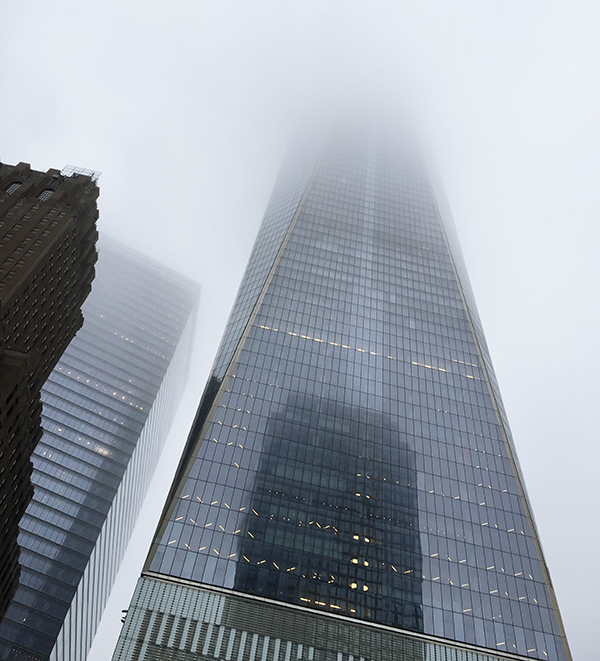 One World Trade Center looking kind of cool and mysterious enveloped in mist. 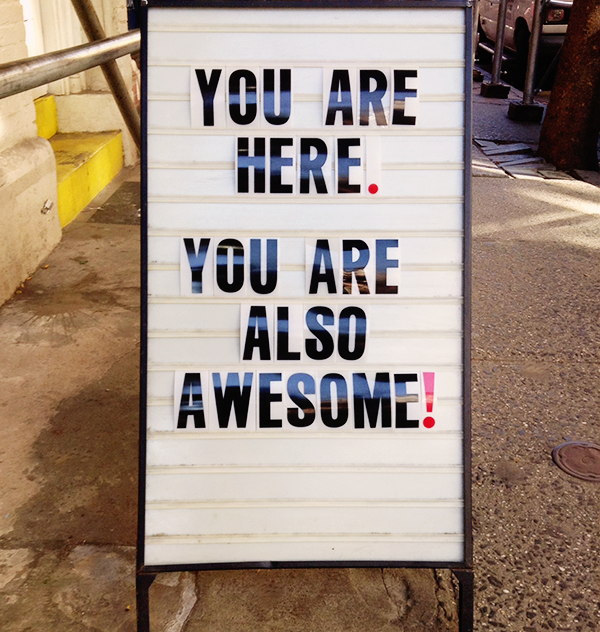 Awesome sign outside of Kate Spade Saturday in Soho. A little color for a rainy day. 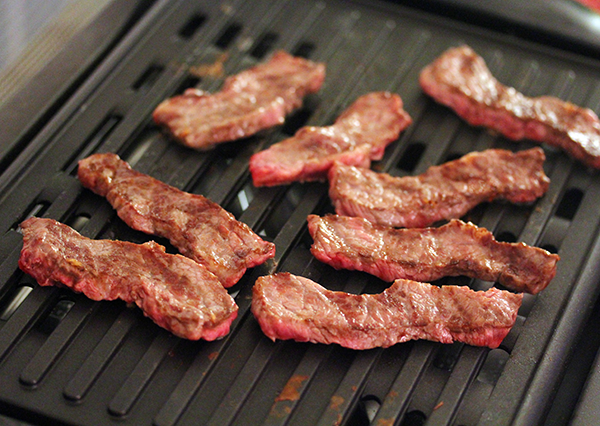 When it gets cold, we break out our grill at home for Korean BBQ. 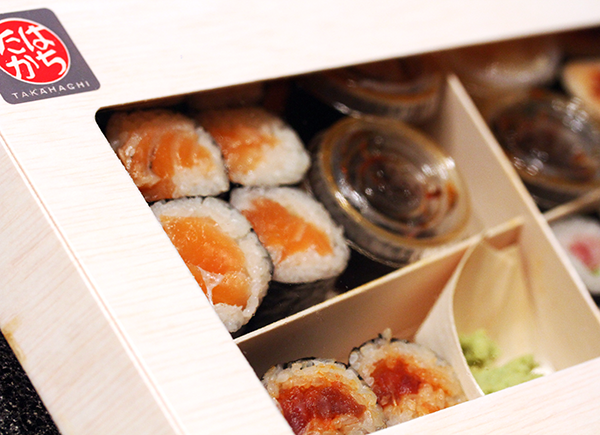 Our favorite neighborhood sushi spot Takahachi always packs their takeout so beautifully. 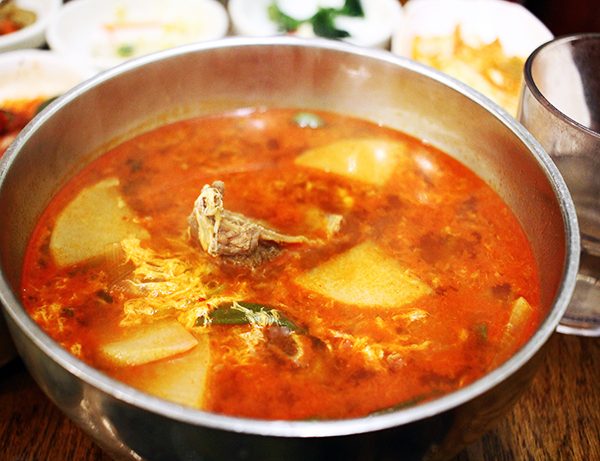 Spicy galbi tang (beef rib soup) at Muk Eun Ji in Koreatown. We ended up here since the wait for Kang Ho Dong Baekjong was like 2 hours long. My Christmas present to myself was a Lo & Sons Pearl Crossbody bag which I'm loving. Wow you captured amazing pictures! Oh my, such lovely places! 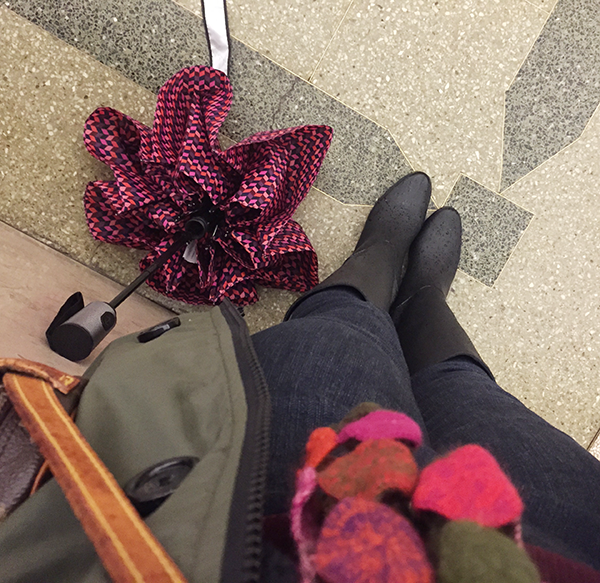 It's nice to be able to walk around town, out and about even though the weather is not as sunny as you wish, right? But actually, I kinda like this sort of weather, a little gloomy (but not heavy rain, please!) and the mist looks mysteriously lovely actually, nice capture, rowena! Have a lovely week ahead, my friend. 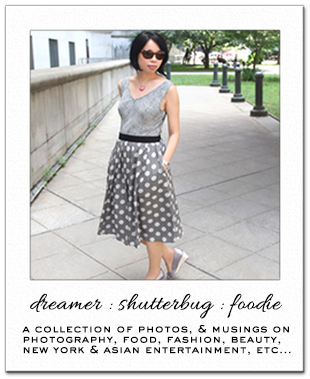 You have an eye for photography, Rowena, great snaps! You took amazing picture enjoy delicious food and glad you spoil yourself for Christmas. Awesome pics, Rowena:) New York City is just lovely in the holiday season...would love to actually go there someday. Aww the purse is simply chic! The Winter Garden has changed so much in the last few years (I used to work close by!) It would have been great to catch the exhibit. i hope you had a lot of fun enjoying lovely takeout meals and great Korean food! Amazing photos! Hope you had a wonderful holiday! What wonderful photos! That light show looks simply magical—what a fun thing to see! Loving your christmas gift to yourself :) Such a beautiful and simplistic bag. Happy new year! Happy New Year, dear Rowena!!! Lovely photos and post!! Happy New year my sweet Rowena! I've always been a huge fan of your photography, Rowena and it makes me more determine to take better pictures and learn how to use my camera, all the different settings and knick-knacks. And stop teasing with food pictures, you make me so hungry even though I just finished brunch. LOL! Wonderful pics and amazing tree!!!! beautiful photo of the trade center. i love simple and functional, and your crossbody is just that! You got such great shots around the city! There is a really great view from my office window, only thing there is a rack of clothes in front of it! And yup love the shot of One World Trade Center. Oooooooooooo these are awesome. I must meet you for lunch some day. Rowena, that crossbody bag is perfect! Love it! NYC looks so pretty at night! Love the lights on the Empire State Building and what a grand Christmas tree! You look so cute. Love your hat, coat and boots. You had a beautiful holiday! Thanks so much for sharing it with us. NY looks so beautiful and amazing all lit up like that. And gosh Korean food on a cold day is my favourite thing. Hope you've had a wonderful start to the new year, Rowena! The photo of the buildings all lit up is beautiful! I love the cheerful umbrella colors, it has been pretty dreary out lately so that and all the cold-weather food seem perfect! Your food pics always make me so hungry. :) It's been awhile since I've eaten in K-town and I think it's time I make a visit back!! These photos are way too gorgeous and we totally have a hankering for sushi now!! You have taken gorgeous pictures, Rowena. Beautiful purse. That sign outside Kate Spade is worth entering and buying a cute bag! yesterday, I was an episode of No Reservations that was taking place in Korean neighbourhood in LA...and wow, that grill looked delicious...and so does this one. I'm pretty sure my husband would love it! ....and that trade center surrounded by mist...that's one phenomenal shot! lovely photos all of them! The one trade centre! What a beautiful but haunting building. How can one not think of 9/11 when they look at it? I want the sushi please. I love all of the pictures you captured of the city during the holidays. 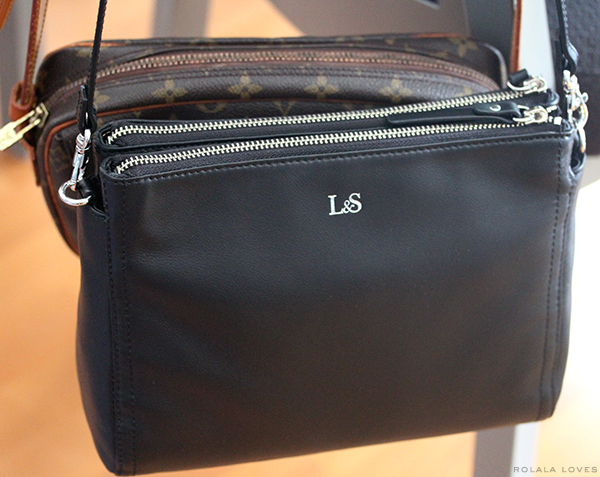 Also, that L&S bag is so cute! Very lovely pictures and that Korean BBQ looks yummy..
That Empire State Building photo - wow! Great NY pics! I can't wait to visit in February. I have already so many things on my list; it will be super exciting! Ah, I was just in NY in September, but I miss it so! Looks like you have a lovely Christmas in NYC! I'm in love with that photo of the Empire State Building: your beautiful nighttime photographs always stuns me! Mine never turn out pretty. Anyhow, this post makes me want to go to. New York immediately: I've been daydreaming about going back for weeks!